The Lawyer's Relic, penned by Julian Bauer, is an entertaining and educational novella about an agnostic lawyer, Mr. Antonio Mendoza and his bizarre experiences with a relic. At first he thought someone had sent him evidence from a criminal case. However, when he saw that people experienced life transformations after coming in contact with the napkin, he started to wonder about its origin. His quest for answers led him to the Catholic Monsignor who, after noticing Mendoza's skepticism, referred him to the local Rabbi to inquire about Jewish burial customs in Jesus' time. Not fully satisfied with their explanations, Mr. Mendoza ordered a DNA test on the napkin. His quest for convincing evidence about the authenticity and origin of the relic would ultimately take him to the Vatican. Is the bloodstained napkin truly a relic? Are the alleged miracles authentic? What series of events will bring Mr. Mendoza to his knees with a humble heart toward God? All these questions will be answered as the story unfolds, leading to an unexpected end. Since I mainly write book reviews for Catholic publishers and authors, the repetitive arguments and clichés about conviction and conversions are sometimes extremely boring for me. Mr. Bauer cleverly and convincingly uses characters' conversations to make his points without resorting to the “preaching tone” that non believers can find off-putting. It was refreshing to read the courtship scenes between the agnostic lawyer and his deeply devout Catholic fiancé, Pam. They are miles apart in personalities and world views, but those differences make their love unique and stronger as they join forces and resources to solve the mystery at hand. The Lawyer's Relic is a short, easy-to-read novella that might cause a revitalization of your faith. After the success of his first historical novella, The Scholar's Challenge, author Julian Bauer shares two short novellas in one book, The Lawyer's Relic and A Grandfather's Dilemma. The first novella recounts the story of an agnostic lawyer, an alleged relic, and the life-changing experiences that it causes to those who came in contact with it. The second novella, A Grandfather's Dilemma, is the story of Tom Rider, the spoiled, sole heir of Rider Distilleries. The story begins with an unexpected visit from Ms. Sara Rider and her son, Tom, to Mr. Larry Dexter, author of the successful book, Developing Character. Based on what Ms. Rider has read she is absolutely convienced that only Mr. Dexter could help Tom become a wise, objective, ethical individual and a outstanding CEO. At first Mr. Dexter refuses to help Tom. However, after some persistence from Ms. Rider, he accepts the challenge under some tough conditions for Tom who is used to getting his way. As the story unfolds, the reader will be engaged into their character developing struggles, steep learning curve, and gratifying moments. Mr. Dexter's system is a mix of tough love, establishing clear rules and the consequences for breaking them, persistency, study of the Word of God and leading by example.The author shows why one should never underestimate the power of prayers, the wisdom that comes with age, and mercy. The end of the book, although dramatic, fits the novella's overall theme--compassion! 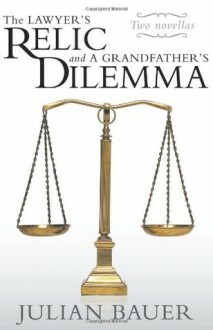 I recommend A Grandfather's Dilemma, to parents of teens and young adults who are looking for an astute method to raise a man of integrity. This publication is a combination of two books, "Always a Soldier" and "The Foxhole Angel." Each chapter's theme is introduced by citing a famous quote. These quotes are on both books. On the first book, the author takes us back to Rome, the governing of Pontius Pilate, and Jesus' ministry. This book is divided in five chapters. On the first chapter, we meet Antonius, a Roman soldier assigned to oversee a wedding in the city of Cana. Antonius is vigilant on his duty and self-aware of the negative feelings the Jews have toward him and Rome. There he witnesses Jesus' miracle of converting water into an exquisite wine and the cure of a cripple boy. On the other four chapters, Antonius shares with us his impressions of Jesus' ministry until His crucifixion. Antonius will later on become a character on the second book, "The Foxhole Angel." On the second book, "The Foxhole Angel," the author takes us to Germany and Japan during World War II. This book has twenty-nine chapters. On the first four chapters, the author introduces the three main characters; Jimmy Donovan, Will Jackson, and Pete Calvert. All of them come from three different upbringings and ethnic backgrounds. On chapters five and six the author introduces the topic of prejudicism in a very eloquent manner as it's described to us as seen by Will Jackson. When this young and naive black Parisian travels from France to Central Montana, USA, to report to work at an all-white mining company, he gets a bitter taste of the segregation practices of the time. He is in shock and in a state of disbelief. After this and other discrimination experiences and many failed attempts to make a decent living, he is drafted into the US Army into an all black-batallion. On chapter seven, Jimmy Donovan d Pete Calvert meet on ''Boot Camp'' and start developing a strong friendship. On chapter nine, the author introduces the first guardian angel who will be with the reader for most of the story. Chapters 10 through 21 take us to the thick of the war in Nazi Germany. During those chapters more soldiers are introduced, which will accompany Jimmy and Pete on their Germany tour and to the end of the war. On chapters 22 and 23, Jimmy, Pete, and other soldiers are transferred from Germany to Pearl Harbor, Japan, where they meet Will Jackson. Pete's dislikes of Will escalate to a violent fight, which caused both soldiers to be scolded by their superior. The chapter ends with a war scene. On chapters 24 through 26, the author takes us to the world of the afterlife where he shares with us Jimmy, Will, and Pete's experiences with us. On chapters 27 and 28, the author gives us some historical background of the whereabouts of those soldiers fallen on Pearl Harbor and the return home of their remains; but with more emphasis on the Donovan family. On chapter 29, the author once again reunites Jimmy, Will, and Pete on their newly appointed duties. The author finishes the book with an Epilogue. 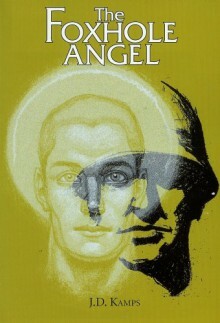 The book's cover is olive green and shows a picture of a man with a soldier hair cut with a hallow and a soldier siluette with his helmet on the background. This is indicative of the guardian angel protecting the soldier. The olive green color of the cover is similar to one of the green colors used on the US military soldiers camouflage uniform. 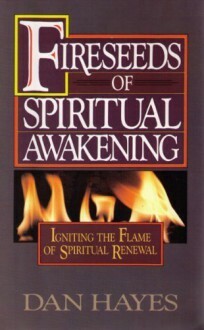 The book title hinted the military and divine nature of this book. A foxhole is a hole in the ground used by troops as shelter against enemy fire or as a firing point. The hole usually is to be occupied by no more than two soldiers due to its small size; however, it has the capacity of accomodating a maximum of four soldiers. The military Basic Training, which the author refers to as ''Boot Camp,'' and the war scenes are fully detailed and colorful. The scenes of the German war coincide with many of the war stories I have heard from the locals in the German city where I live. This book could have greatly benefited from an editor to help the author stay focused on the storyline, characters, and to keep the situations accurate and smoothly connected; in addition to prevent misspelling of German words, format and layout inconsistencies. Format and Layout Inconsistencies: The quotes used at the beggining of each chapter to introduce a theme have different fonts sizes and format discrepancies. This problem is found on both books on chapter one, where there is no space between the chapter title and the cited quote undearneath it. However, on the other chapters, there were three spaces separating them. The quotes source format and font size are also not kept consistently throughout the book. Most of the quotes' originator is listed on the right side underneath the quote; however, some of them were centered following the format of the quote. An editor would have suggested a more friendly font size for the quotes and the overall formatting of the book. Main Storyline Lost: I felt the first book, "Always a Soldier" was completely irrelevant to the main storyline as stated on the book back cover. It appears that story was written to stand alone and somehow tossed into the story as a last minute decision. Equally irrelevant to the overrall story was chapter 25 on the second book, "The Foxhole Angel," where we read about the encounter and theological exchange between Jimmy Donovan and Martin Luther. An editor would have suggested to the author the deletion of these two stories without affecting the overall outcome of the book. Identity Crisis- It would have been beneficial to the reader and honoring to those soldiers who lost their lives fighting in World War II if the author had identified properly the ''9th'' mentioned on chapters 27 and 28. Were they the 19th Brigade? ; the 19th Batallion?, ????? 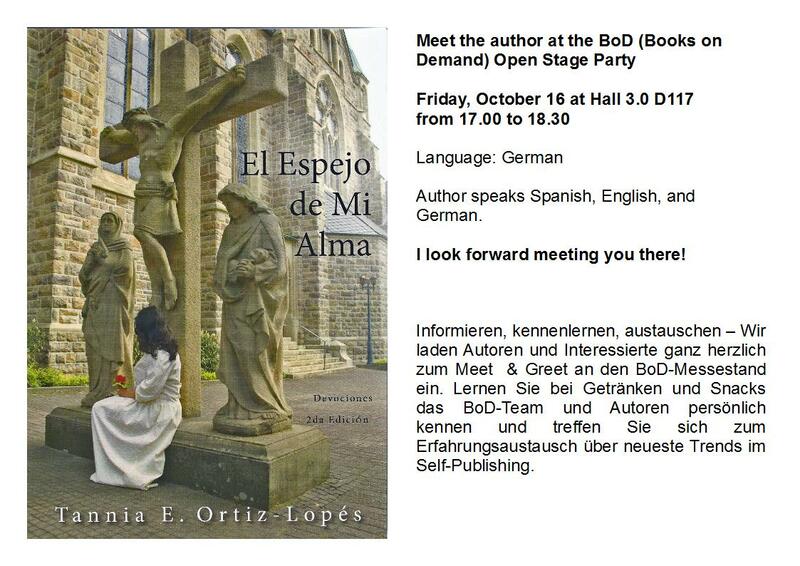 The book is full of themes such as faith, beliefs, prejudicism, redemption, rebirth, spiritual awakening, guardian angels, spiritual battles and human conditions. These themes and the situations surrounding them are not always properly introduced to the reader. I found myself more than once going back to a previous chapter or chapters to verify some facts before fully understanding the situation on the chapter I was reading. At times, the elements of fantasy took away the value of a good scene. The storyline has potential but it was not properly conveyed to the reader. All the weakness in this book could have been avoided if the author had taken more time in his revision, editing, layout, and formating of the book; in adition of choosing a reputable editor and publisher. This book has all the flaws of a self-published vanity press publication. This book is written for adults, since some of the scenes are not suitable for younger readers. 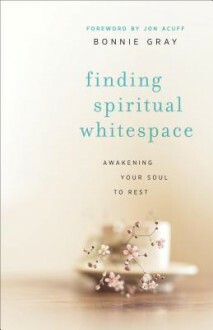 FINDING SPIRITUAL WHITESPACE by Bonnie Gray is a “Must Read” for women (and men), of all ages! An inspiring book, one you will want to refer to frequently, as you begin your journey—to finding your soul’s much needed, spiritual whitespace—a place to rest in order to find balance and beauty. Move beyond surviving. Make room for you. For God. For rest. First, prior to relaying my thoughts about this beautifully written book, would encourage readers to visit the author’s website and blog: Faith Barista, serving up shots of faith for the daily grind. I loved everything about this informative, well laid out, and stunning website! . You will learn more about Bonnie Gray, the author—her story, about the book, an interactive community link up, how to create your whitespace—enjoy, write, and share; goodies and tools, stories from other readers, challenges, and one of my favorites—the moving video, which automatically reduces your stress, upon viewing—inviting you to step into this peaceful and tranquil world of whitespace. Take me there now! Intrigued, was anxious to learn more, by reading this thought-provoking book. An invaluable tool for us as women, as we try and balance our busy work and personal lives. A beautiful written story of discovery (a journey to create space in our hearts and for God, so we can live a better story today). Some of our stories are happy and some not. God uses broken pieces to make something beautiful. A space on a page left untouched. Our souls need whitespace and rest. Intimacy with God, in the secret place where you can dream dreams and be yourself. God is an artist and we are his works of art. Every woman’s story – to slow down, to feed your soul, to feel more deeply connected to your own heart and others—as we take the journey to uncover the stories deep within our souls. God uses spiritual whitespace the same way an artist uses whitespace in imbue artwork with an incredible aesthetic quality-whether it be painting, the still of a photography, or a well architected home. God uses white space in our lives to reawaken our souls with rest. With raw honesty and emotion, Bonnie guides readers to discover a better life for yourself. One that feeds your soul and makes room for rest. Infused with biblical encouragement and thought-provoking tidbits, she demonstrates how to create space in your everyday for God right in the midst of our stressful lives. When we step into whitespace, we are no longer holding on to our old ways of coping, managing, and doing. We are only holding on to Jesus. As we suffer from perfectionism, guilt, anxiety, insomnia, fearful of being judged, and trapped. Jesus meets us in those desolate places. This was my favorite part---Desolation is where Jesus went to meet with God. It’s where Jesus chose to retreat. It’s the last place we’d think someone so connected to God the Father would go. Yet Jesus sought out desolate places. When crowds pressed in around him for healing, Jesus was in touch with his needy soul, he withdrew. Desolation is where Jesus went to meet with God. It’s where Jesus chose to retreat. It isn’t where we’d expect— Where is your basement? Get curious about yourself. If you were to stop fighting to stay strong—to stop rowing upstream and allow God to take your heart downstream where would it lead? Gray offers intriguing insights into scripture and God views his flawed but beloved creations. At each chapter’s end, journaling prompts help readers identify areas where they need to create whitespace. This book is much more than a memoir—an invitation to walk the difficult road to self-discovery and healing with a fellow traveler who understands. Learning how to identify stressors, and eliminate emotional clutter will benefit anyone, not just those suffering from PTSD. “In graphic design, the more cluttered a layout is, the more text and images crowd the print. The purpose is no longer beauty. It is commercialization. Whitespace is the choice to convey quality and artistic value. We are fine art in God’s eyes." Find your basement – The real you. Healing is the journey through places of misery. I found myself bookmarking almost every page, as packed with inspiring quotes and references for self-discovery, as the author openly shares her struggles and joy to finding her whitespace. FINDING YOUR WHITESPACE is a gem, and one you will treasure and share with friends and loved ones. Thank you Bonnie for sharing your journey, your courage, and talent to help others discover their much deserved whitespace! Looking forward to connecting on your blog. A special thank you to Revell and NetGalley for an ARC in exchange for an honest review.